You may have noticed my references to District 31. 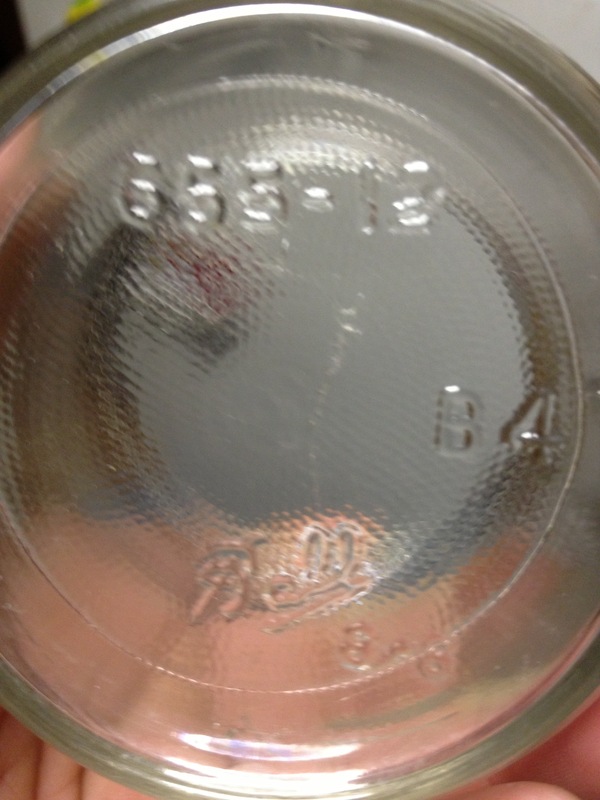 This was the school district number of the old school I have been researching. The schools name was The Brown School. I realized that in my previous two posts considering the Brown School that I had forgotten to share somethings. The way I started researching this school was quite unusual for me. I was searching for school yards to hunt in a few neighboring towns. I stumbled upon a school that refered to it’s roots in 1874. I had to know more! In the article it mentioned the land owners that owned the property back then. One of my favorite resources are old plat maps. The map found here from 1882 clearly shows a school on Mr. Means land (section 25). That is where the Brown School stood for 30 years starting in 1880. The second thing I didn’t mention were my non-metallic finds while looking for the location of the Brown School prior to moving onto Mr. Means land. 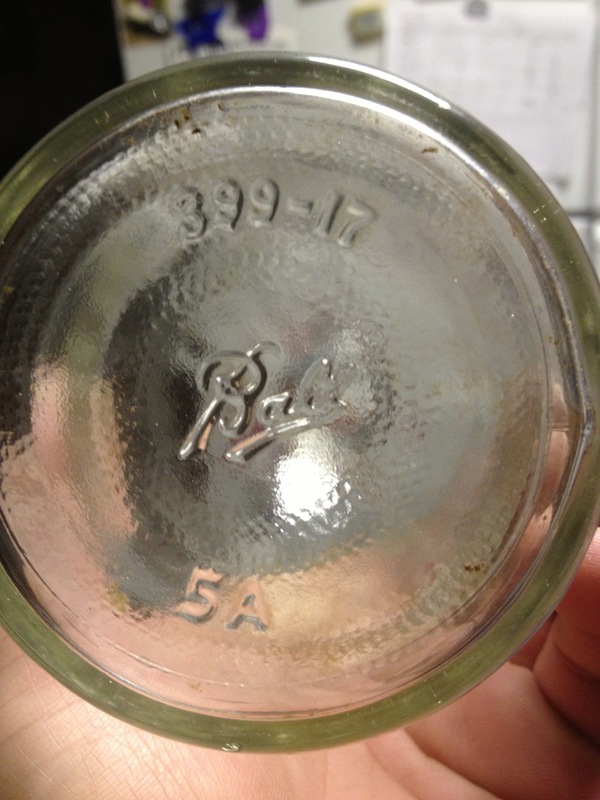 I found several old jars that I have dated to 1933-1950 based on the Ball markings on two of them. 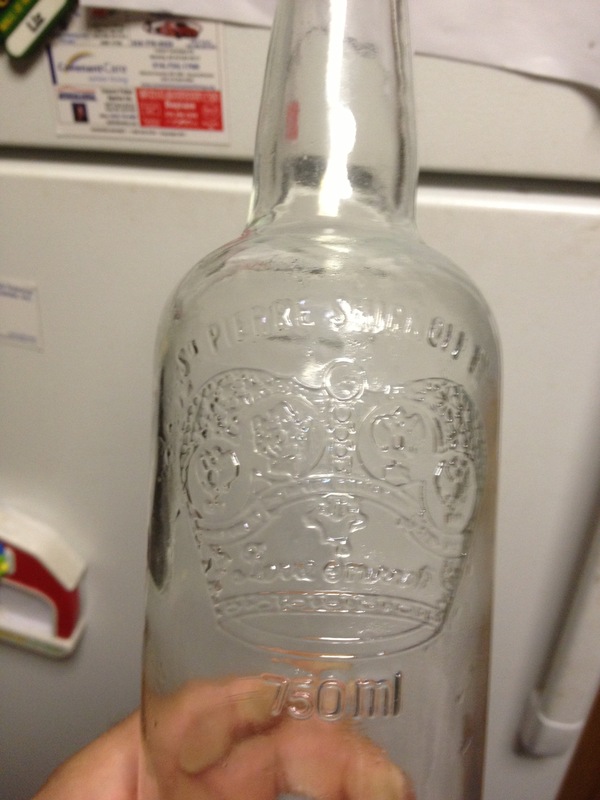 The third bottle is an old St. Pierre Smirnoff bottle. I am thinking pre 1950 on it as well! Today started day two for the old school. I drove by the site and was quite blown away. The home sits on what I would guess to be three acres or so. It is a very nice home and the lawn was perfectly manicured. It reminded me of a golf course with ponds, fountains, and a gazebo. I pulled into the drive and asked the homeowner if he knew about the school being there 100+ years before. He didn’t and granted us permission to hunt it. He was a super nice homeowner that understood what I was after. I know that the school was on the Northwest corner of the lot. But where was the corner? Kolton and I quickly realized that there were two tree rows about 25 feet apart running on the North end of the lot. We figured this is where the road ran previously. We decided to hunt on the south side of the tree rows. I figured that this is where the school was. My thoughts were quickly confirmed by digging old building bits. The ground was very nice to dig in. 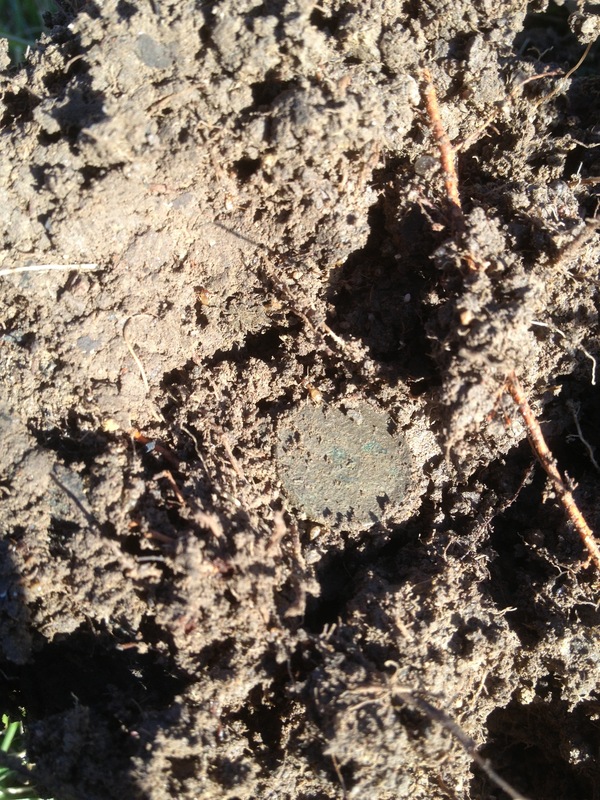 It was clay but soft due to the irrigation system. One thing that I quickly noticed was the fact that the North end of the lot had been heavily modified. Hills 6 feet tall or so had been added and ponds had been dug. We hunted for 3 hours and only dug one coin. I tried to hunt all the flat areas first and this is where I dug all my targets. Once I moved onto the hills and pond area all signals were gone. All I can hope is that the older generation of detectorists had hit this site and recovered some coins because I don’t think they are reachable now. I must say that I was a little disappointed with the overall hunt. The finds were nearly non existent but it was still being outside with my son trying to figure out the site. Please remember that when you are hunting someones pride and joy to leave no trace. 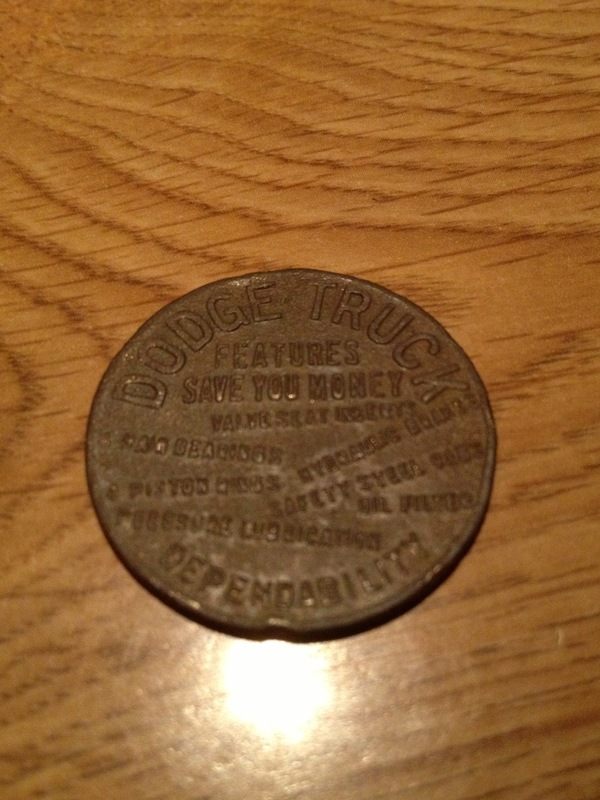 The only coin of the day a 1936 D wheat cent! Today, I met up with a friend for a hunt. It was a first for both of us. 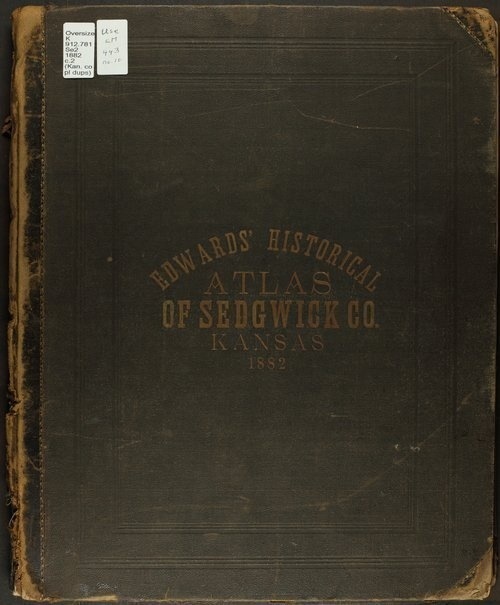 While doing some research I learned about a schoolhouse from 1874. After looking into it I learned that the location was currently an empty field. I decided to start our hunt there. 2 hours later we had dug a couple pieces of iron.. Not what I was hoping! I was hoping for seated coins and Barbers. We decided to switch locations and went to a park that has produced silver in the past. My friend found his first dug coins and something tells me he is hooked! I managed to find a couple keepers. 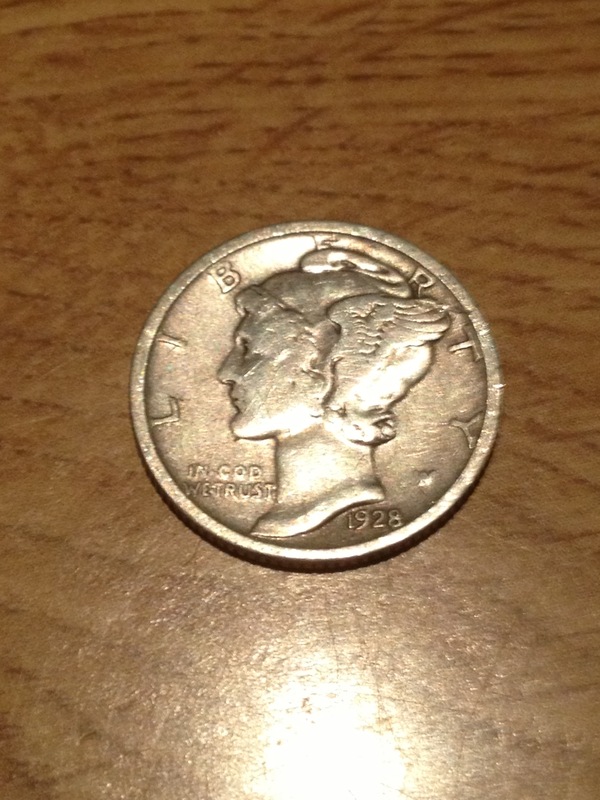 I found a 1939 wheat and a 1963 D Roosevelt dime. 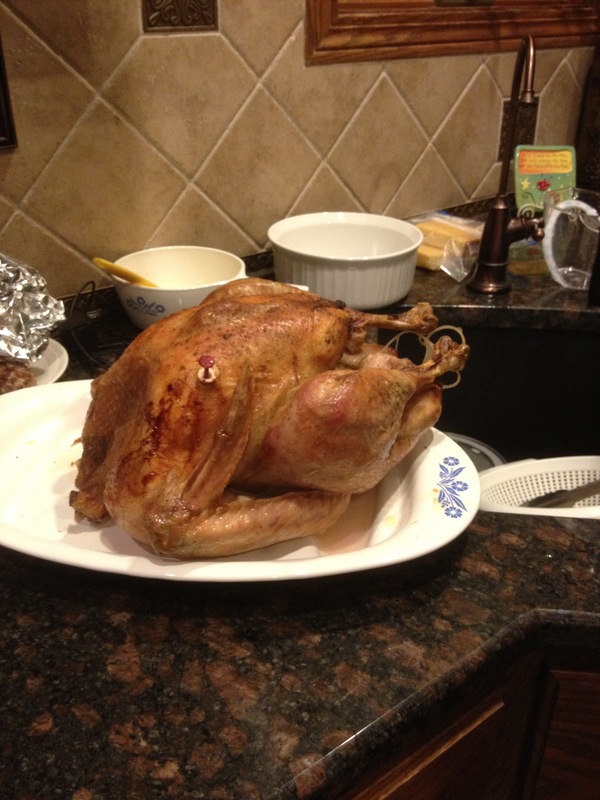 Thanksgiving 2012 was a great one. We started the morning by filling the house with the smells of homemade bread, pumpkin pie, and cookies. There was a certain excitement in the house as we had to make a last minute dash to the grocery store. This was our exchange students first Thanksgiving. I will never forget the look on her face as she took her first couple bites of pumpkin pie. She loved it and had an almost constant smile on her face! Once the meal had finished up my cousin from North Carolina wanted to check out the metal detector. I was more than happy to pull it out of the van and get to swinging. 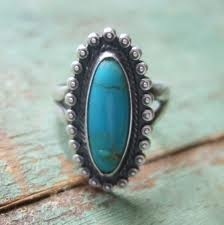 The very first target produced a silver ring. We continued to cover my Uncles yard and hit a few memorials and a dime. Very shortly after we started we had every kid following us around wondering what treasure we had found! It is fun to see the excitement this hobby can bring out of kids. 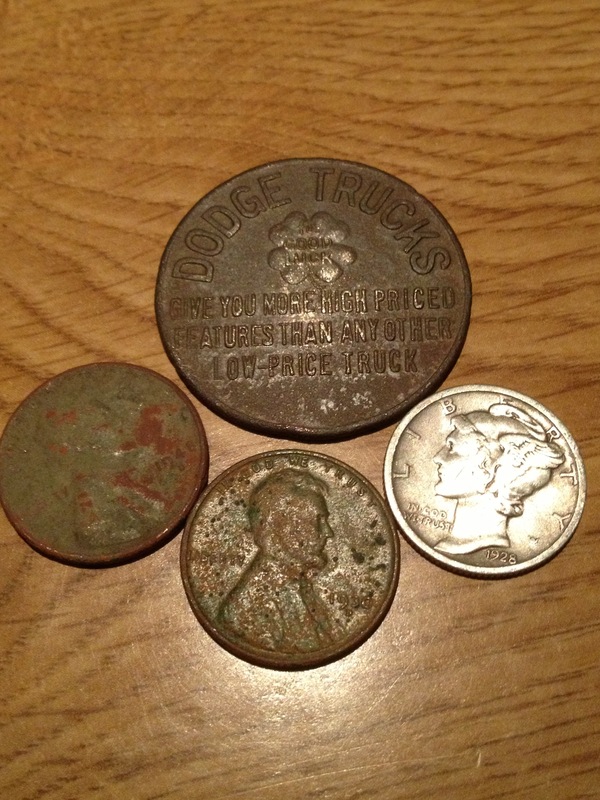 The hunt ended with 2 silver rings, a 1955D wheat penny, a few memorials and one dime. 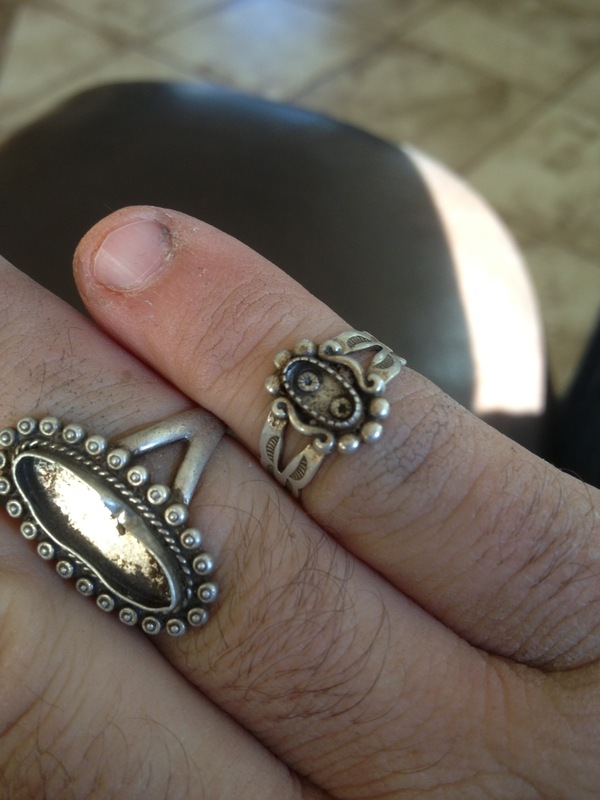 Both the rings came from Bell Trading Company. 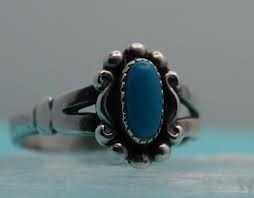 I found examples of both rings while searching Google images. We then head to our second Thanksgiving meal. It was a fun time of hanging out and relaxing. The meal was great and a couple of adult beverages made for the perfect night cap. At the end of the day I was thinking about what a great day it was. Friends, Family, Food, and Metal Detecting.. Perfect! Well today is a special day for me. I have had the pleasure of being married to my wife for 12 years today. Through the good times and hard times I’m glad to say that she has been by my side. Throughout the day we have reminisced about memories and how far our family has come. She is a saint to put up with me! This afternoon I got out to metal detect for about two hours. I returned to an older home in town that I have detected a couple of times. The yard is very trashy and the only thing of note I had found was the knife I found in Sprecehen Sie Deutsch. Todays hunt started out kind of slow. I dug quite a few old pieces of old iron that were deep. I then moved to the front yard. I have hunted the front yard a couple of times. It is a small front yard so I hunted it going the opposite direction than I have in the past. 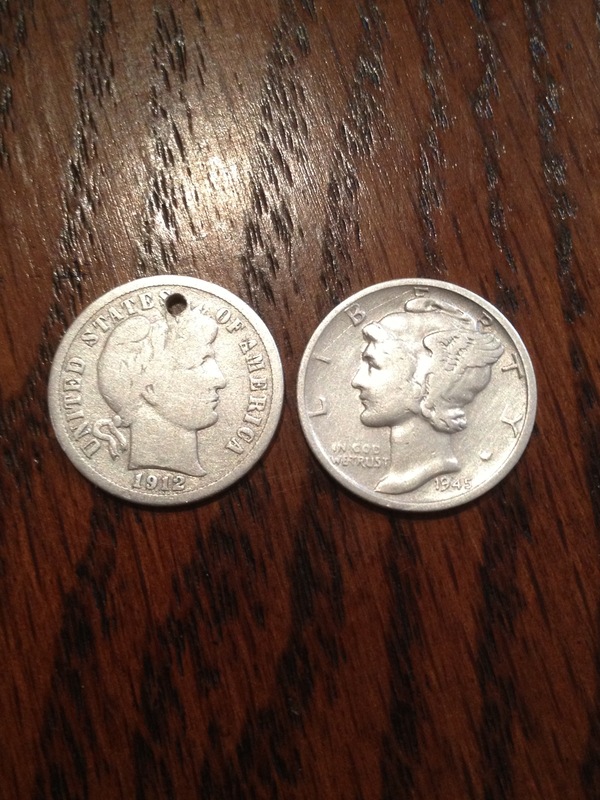 My efforts were quickly rewarded when I dug a 1912D Barber dime. 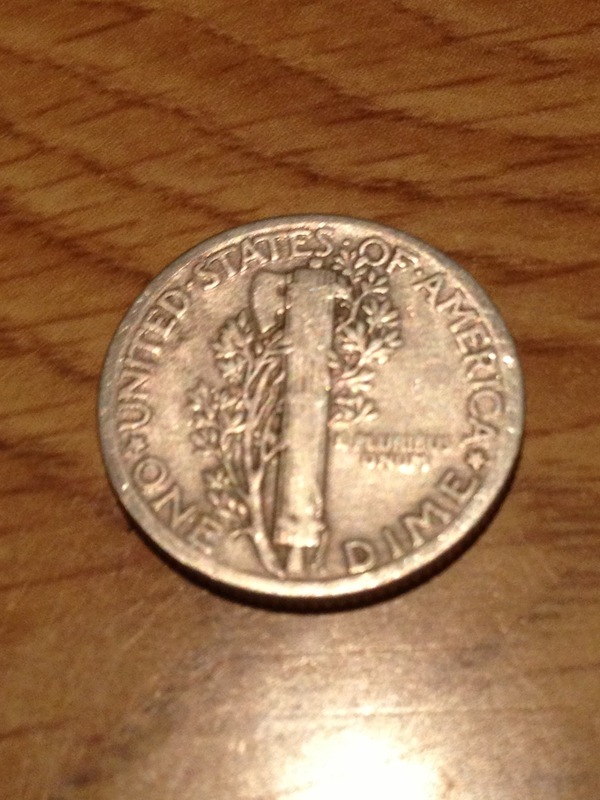 The Garrett gave me a nice clean signal on this coin at 6″ or just slightly over it. 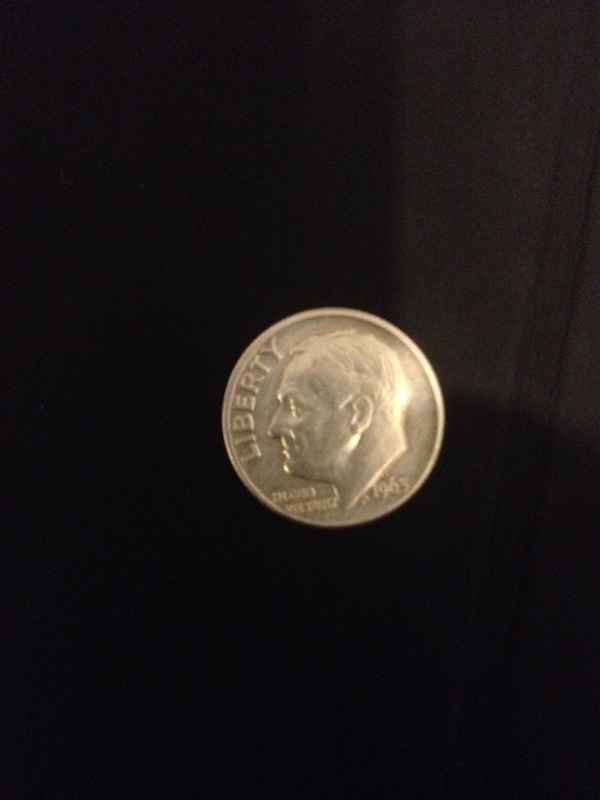 This is my first Barber dime. I moved on and within 10 or fifteen feet I dug another good signal at 4″. 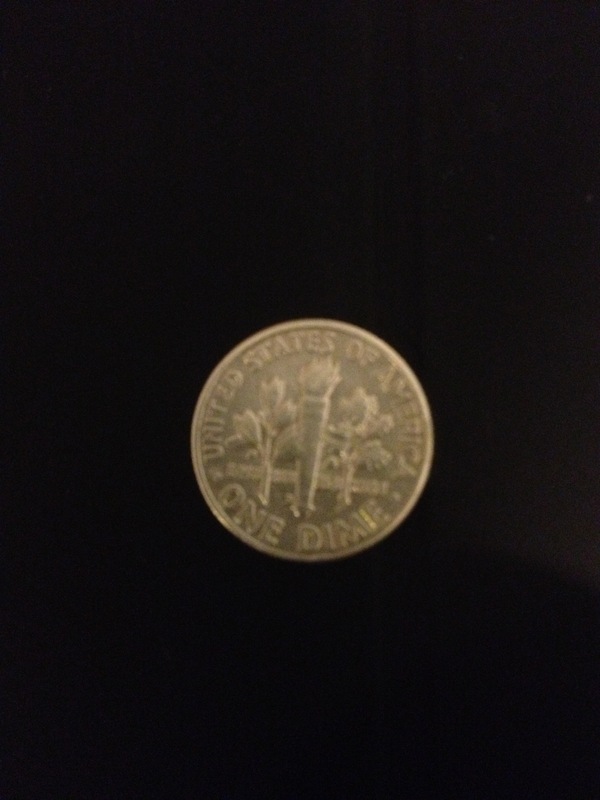 I was presented with a 1945S Liberty dime. You can watch the video I filmed here. 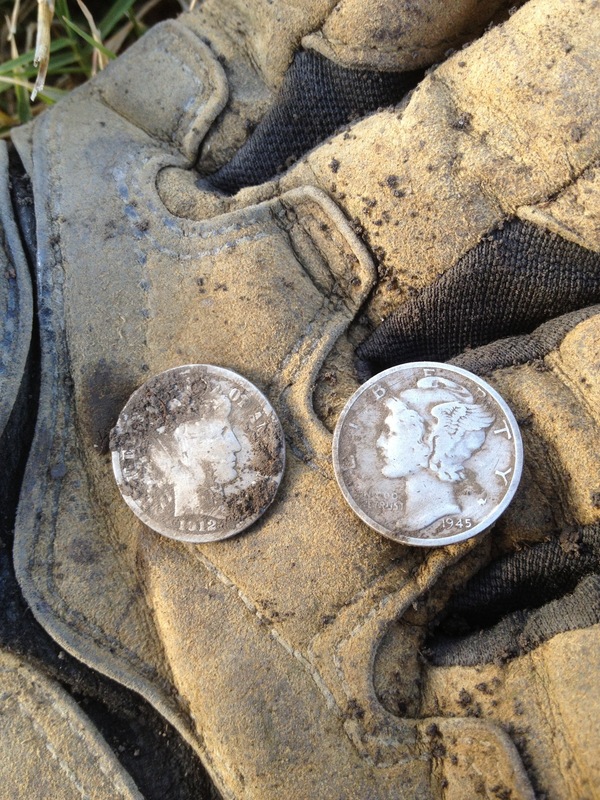 These were the only two coins that I dug today but I’m ok with that! Once I got home I cleaned up my silvers and found that the Barber had been holed. 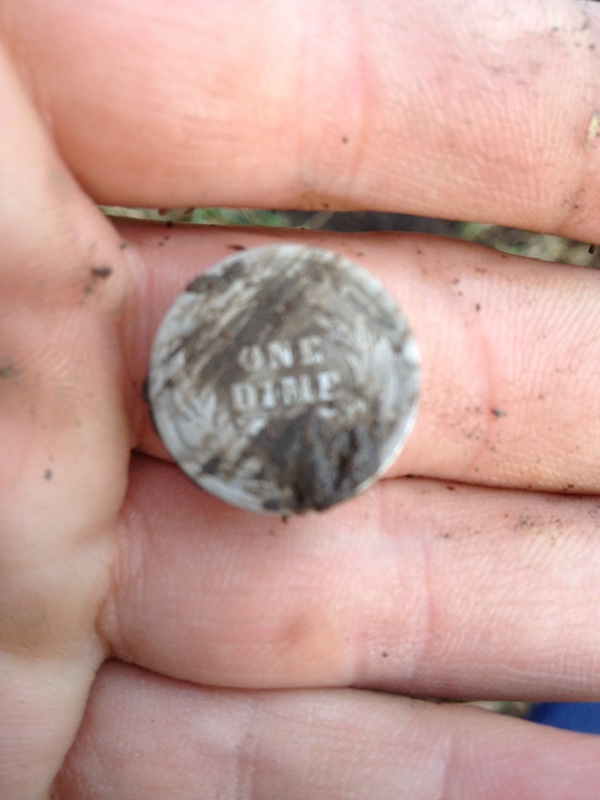 I think that it was holed fairly early on judging by the depth of the coin. I also wanted to report about the wireless headphones from Getdiggin. I have hunted with them probably 10 times and still find them very user friendly, good sound, no lag, and very comfortable! All in all I have felt pretty blessed all day! Well tonight I met the whole family in Derby Ks for dinner. 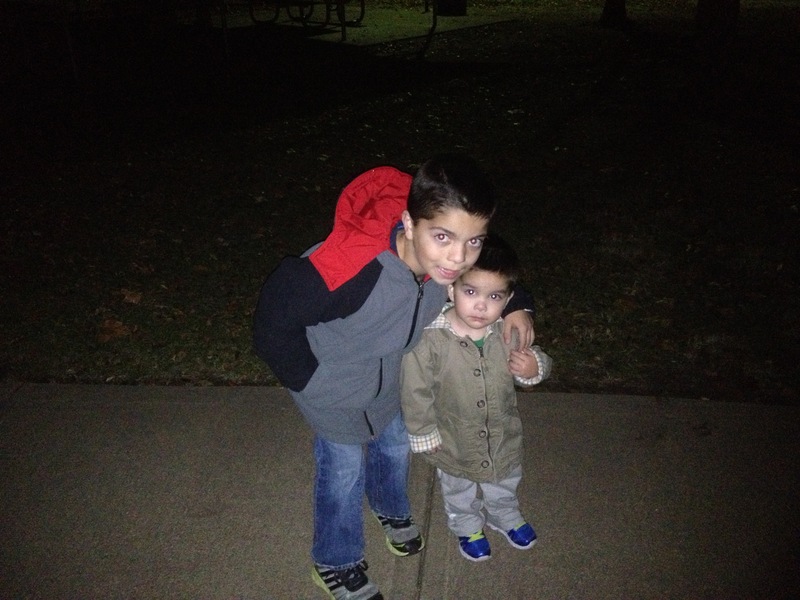 After dinner queen Ukena went grocery shopping while two Ukena boys and I went geocaching! We managed to find a nanocache without a flashlight. When we headed home I was on the cycle while everyone else was in the van about 5 minutes in front of me. During this 10 mile trek I was reminded of the time of year. It wasn’t due to the cooler weather but it was because of the deer population. I had 3 different deer make their way into my path of travel. We all know that male deer don’t think clearly for a few weeks out of the year. Be careful out there. After going through my MSF class I learned about not overriding my headlight. It has helped me out more than once! For those who are not familiar with this concept I attached a diagram. Simply put it is to make sure you can stop within your sight distance. If you cannot stop within your sight distance obstacles become big obstacles. Today on my lunch break I had one of the best hunts I’ve had for awhile. I decided to hunt an empty lot that was close to work. My choice worked out as I dug some goodies. My first good find was my first ever good luck token. 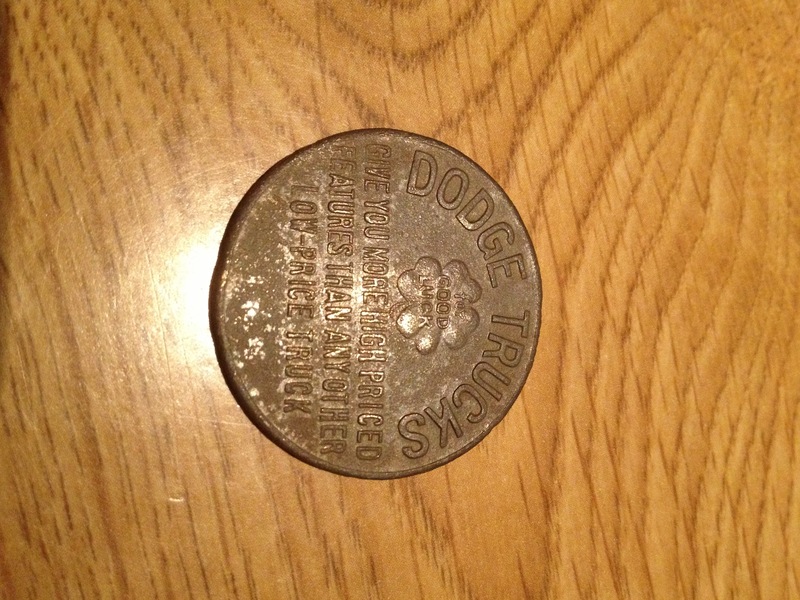 This one is a Dodge trucks token that was circulated in the 30’s. 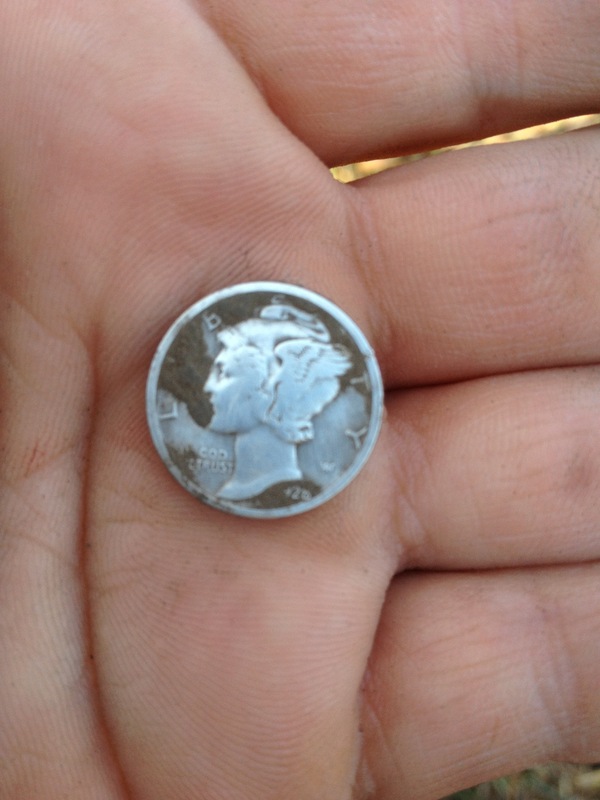 I then proceeded to dig a 1928 mercury dime and two wheat pennies. One is a 1930D and the other is a 1948D. I got out tonight for a short hunt in the cool evening air. I returned to the location I wrote about in my post Grrr! This location continues giving many old relics and home related products. I cannot seem to find any coins though. This location became the middle of Rose Hill when they moved the town in the 1890’s. I am certain they are there but I think they are masked by many other random metallic items. Tonights finds solidify my thoughts. 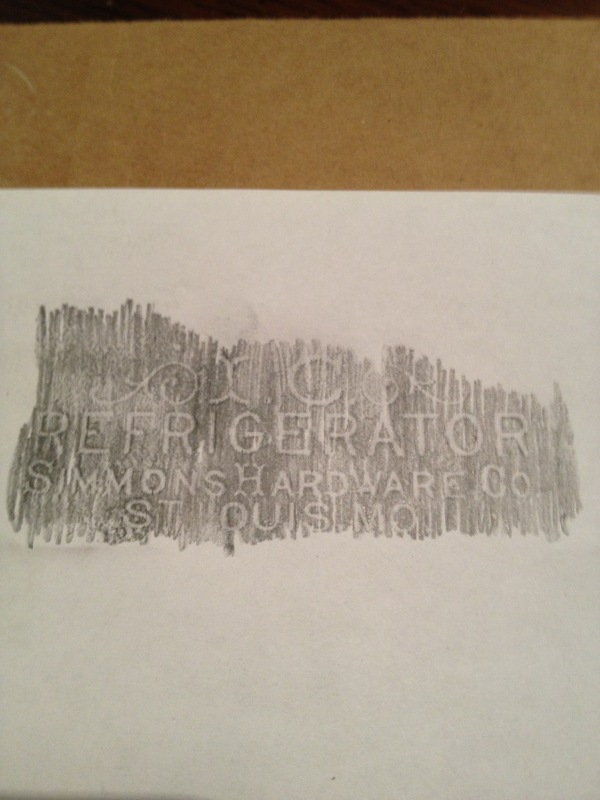 I found a brass tag from a Simmons I.C. Refrigerator. 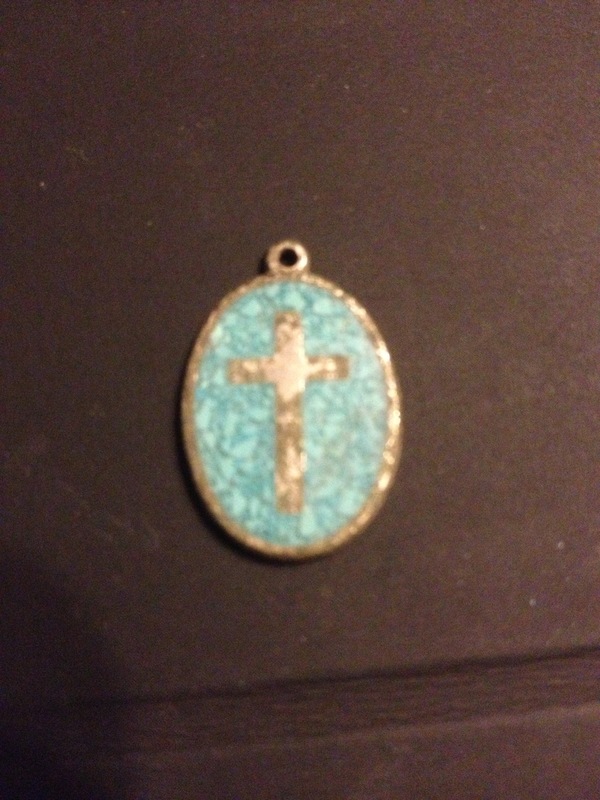 I am not certain of the age but I am thinking that it is from the late 1800’s. 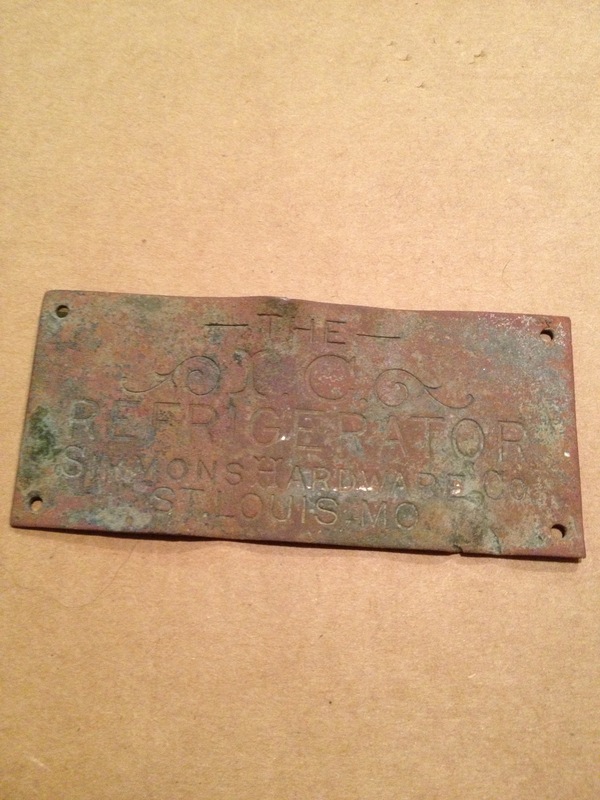 I cannot find a vintage icebox with this exact tag. It seems like the WhiteClad by Simmons was popular in the early 1900’s. the Simmons history is quite deep due to E.C. Simmon and August Shapleigh partnered to create the KeenKutter brand. 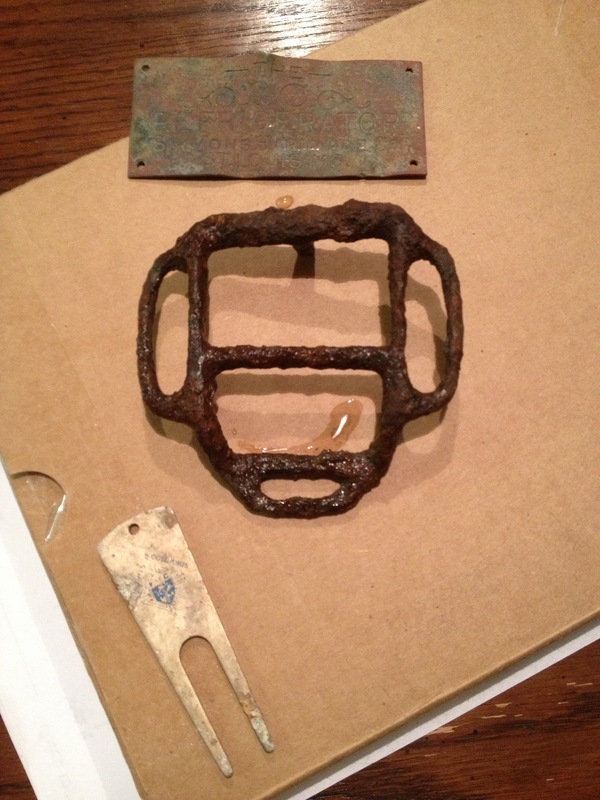 I also found pieces of an old capgun and an old piece of tack. As a side note my headphones didn’t get tugged off my head once while digging a target. I love not being attached to the detector. The GetDiggin headphones are performing great! Well today I made another trek to Radio Shack to exchange my mono cable for a stereo cable. After spending the day with family I got out to actually use the new headphones from GetDiggin. It was about 6:00 before I got out, dark, and a calm 34 degrees. It took me a few minutes to get the volume set where I wanted. The Ace can definitely overload the transmitter without the inline volume control. I tested this theory by plugging the transmitter directly to the control box. I quickly learned that All I had to do was crack the volume control open and then I could use the volume control on the headphones. The signals sounded different than with my 1970’s realistic stereo phones. They sounded the same as the Bounty Hunter headphones that I have used in the past. The sounds were crisp with no lag. I also noticed that they are extremely comfortable to wear. I liked that I could adjust the headphones to only cover one ear. This is nice while night hunting for safety! All in all I am very impressed with the product. 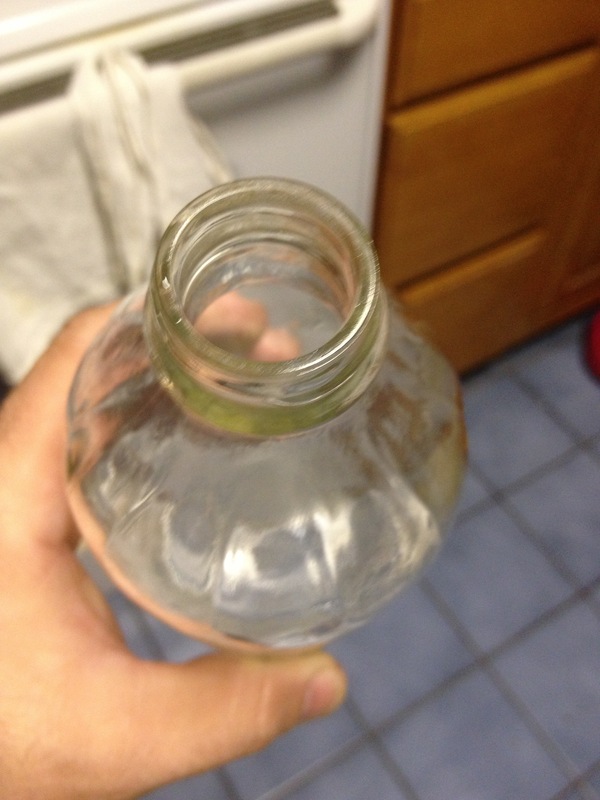 And I agree with Pulltab Miner that it’s nice not being tethered to your detector… The short 30 minute hunt yielded $.51, a bottle cap, and two pulltabs. Well today I was on kid duty at the house most of the day. Along with building different things out of Legos I was anxiously awaiting for the postman. At around noon he arrived with a package; the package I have been waiting for. My wireless headphones from Getdiggin. I was like a kid in the candy store. This evening I made a video that went over the headphones. I also posted a video of Kolton and I installing them on the Ace250. Once we were finished I went outside and gave them a quick go. I turned the transmitter on as well as the headphones. I swept the yard where I have planted a few coins. The sweet Garret belltone was heard loud and clear out of one headphone.. I quickly figured out that the extension cable I bought was Mono and not stereo!! Dumb, dumb, dumb. Sometimes I miss details in my excitement. The nice thing about this system is that it is an easy fix. I didn’t want to do anything to void my warranty. 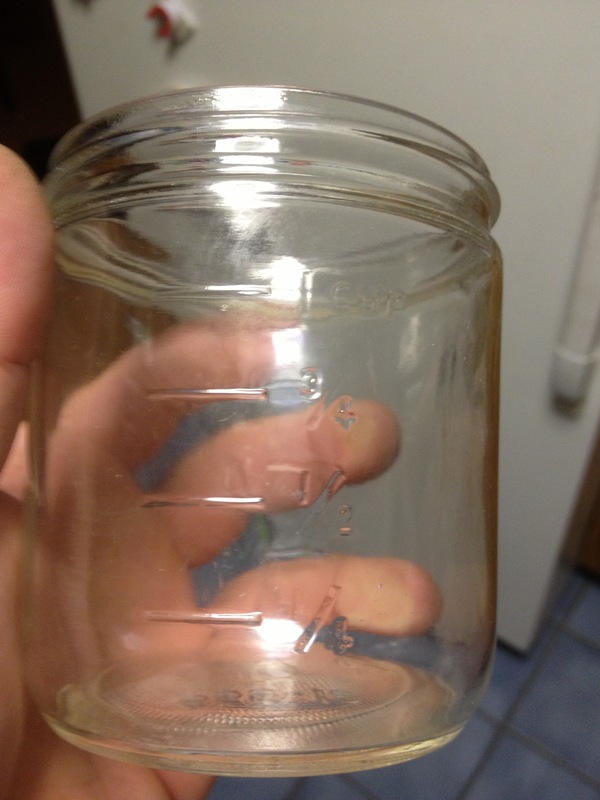 All in all the product seems good and the customer service was great. Thanks Rich! I just had to give these phones a go at music. They seemed amazing for the money. The phones are comfortable and sound great. Happy “wireless” detecting and thanks for reading!